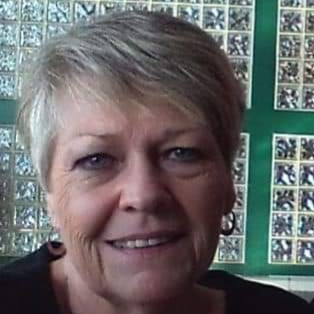 Vivian Louise Burden, 77 of Gun Barrel City, Texas passed away on November 18, 2018. She was born on February 12, 1941 in Denton, Texas to the home of LD Gray & Laura Cushing Beard. Vivian graduated from South Oak Cliff High School in 1959. She was the best mom and Granny in the world. Vivian was very proud of her position as the Burden family domestic engineer. In Vivian’s spare time she enjoyed traveling to see if lady luck was on her side at the slot machines, fishing and cooking for her beloved family & friends. Vivian is survived by her loving husband of 60 years Douglas “Pam-Poo” Burden Sr.; brother Tommy Cushing; daughter Catherine Partin; 6 grandchildren Richard Heming & his wife Kim of Chipley, Florida, Tiffani Franko & her husband Jacob of Midlothian, Texas, Laura Cornett & her husband Brandy of Midlothian, Texas, Douglas Burden III & his wife Amanda of Midlothian, Texas, Dillon Burden & his wife Ashley of Midlothian, Texas, Tyler Partin of Midlothian, Texas; 12 great-grandchildren and a host of other family and friends. Vivian will be dearly missed by all who knew her. Vivian is preceded in death by her parents; and her son Douglas Burden Jr.
Grandson Richard Heming will officiate for the Burden family.